This was a challenging lot – a long, narrow piece of land with coastline on both the Southern and Eastern sides. Several variances were required in order to build a house that would take full advantage of the views, but there was an existing house that already encroached on the setbacks which gave us the chance to justify our new architectural plans. The custom home design is a floor plan that works well for waterfront properties – we used the roadside for circulation and function of the house, while the waterside features the main living spaces. On the Southeast corner, which enjoys two waterfronts, we developed a tower element with the Master Bedroom above and the Study below. 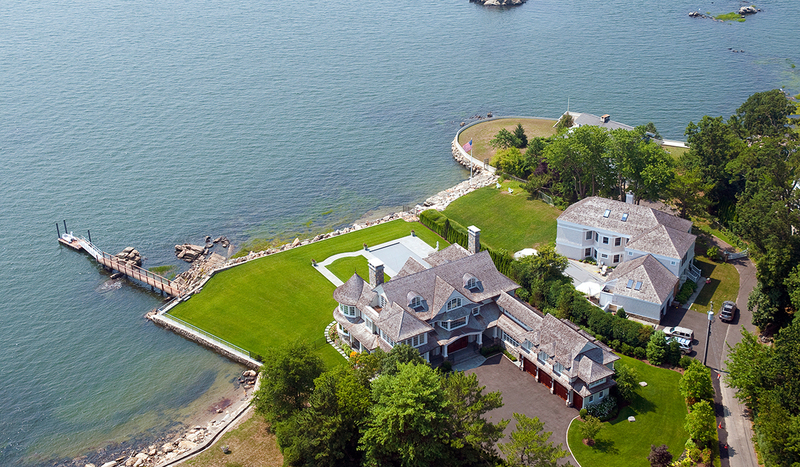 The panoramic views of Long Island Sound from these spaces are breathtaking. The Kitchen/Family Room is well connected to the outdoor living space. The focal point of the house starts at the Front Door, travels through the Dining Room and covered Terrace and leads you to the Pool and the yard, with the water vistas never ending. The house is 3 stories with about 7500 s.f. of living space. The Master Bath is exceptional and allows for views from the matching vanities as well as from within the shower. 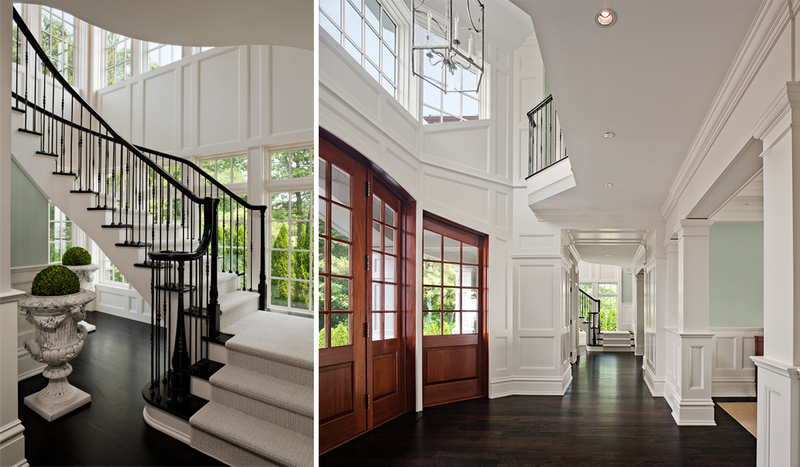 The house contains a high level of finish which can be seen in the many built-ins, moldings and trim which were specified in the plan, all detailed by Cardello Architects. 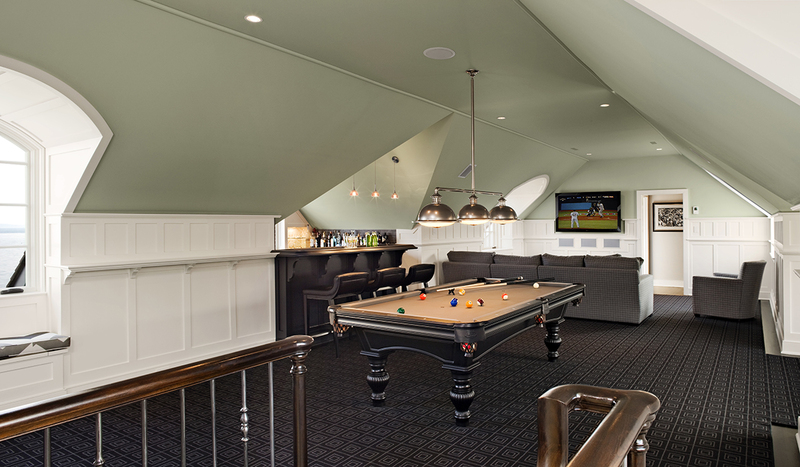 The third floor space is recreational and offers the highest vantage to the water. 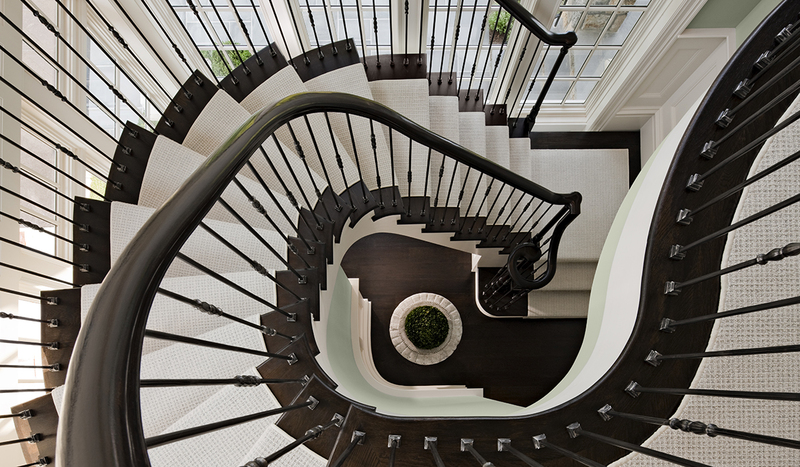 The main stair was treated as a piece of decorative sculpture, a floating architectural feature strategically capturing some of the natural light, than scattering it into the interior.